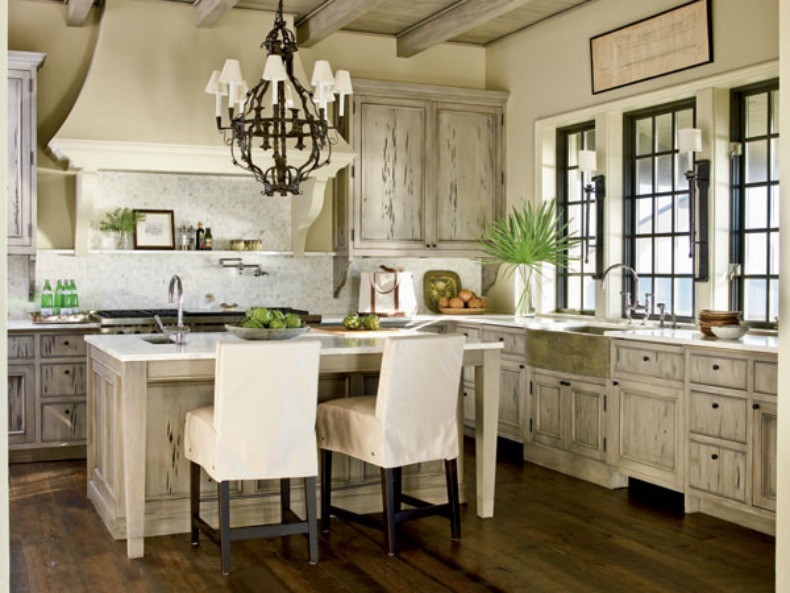 Coastal style with washed, rustic and weathered tones. 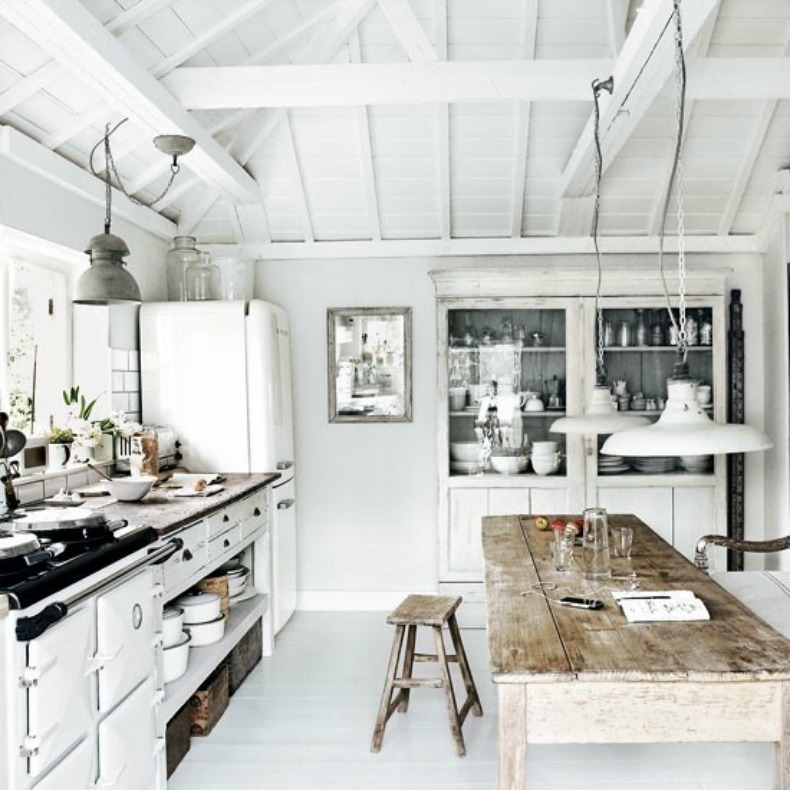 Whitewashed, rustic coastal kitchen is shabby chic. 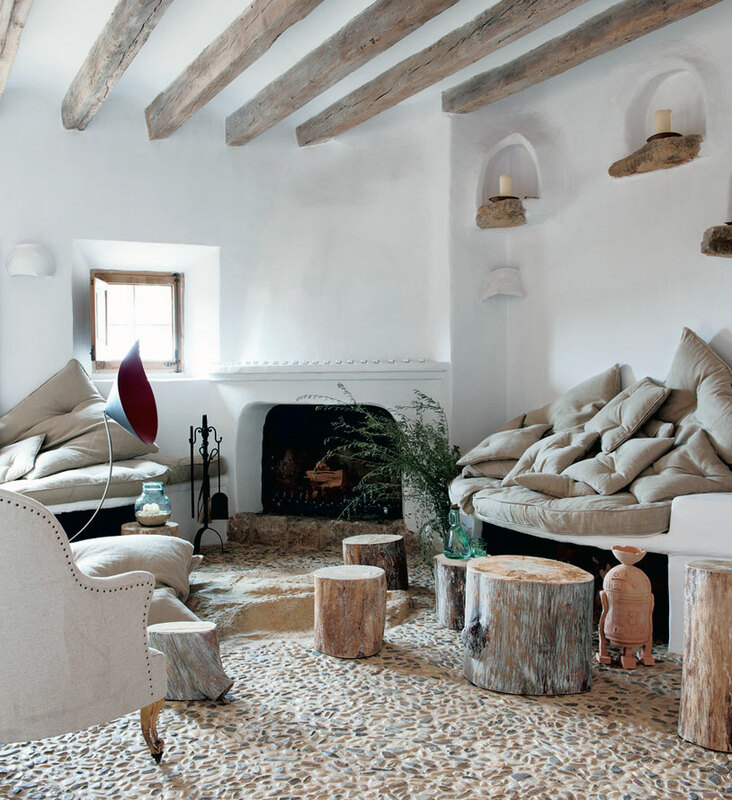 Pebble floors give this rustic style living room a touch of the outdoors. Farmhouse table and chairs are perfect in this coastal,rustic dining room. Coastal wicker dining chairs surround the dark wood table, an exposed bulb chandelier adds a finishing touch. Coastal weathered gray cabinets with distressing and light blue glass tile back splash give this space a cottage feel.